Eddy Cue had the best seats in the house to watch the Warrior's comeback. The Golden State Warriors completed one of the biggest comebacks in NBA playoff history last night when they beat the Oklahoma City Thunder, and perhaps no one in the arena was as amped as Apple VP Eddy Cue. 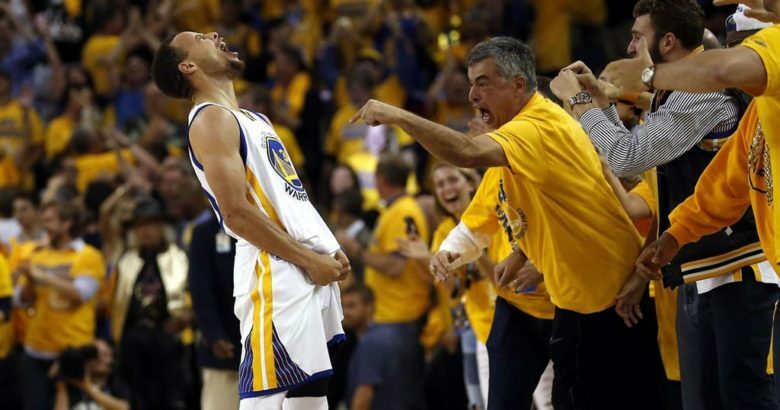 You see, Eddy Cue loves basketball. He’s such a big hoops fan that he’s made a habit of getting spotted with some of the game’s biggest stars in the biggest moments. So it should be no surprise that when the Warriors’ local paper announced the team’s win this morning Cue was right on the front page with Steph Curry. The Warriors’ 96-88 win over the Thunder last night capped off what some experts are calling one of the NBA’s greatest comebacks ever. Apple and Steph Curry partnered last year for an iPhone 6s ad that showed Steph draining long-range threes. Golden State is set to take on Lebron James and the Cleveland Cavaliers in the finals starting June 2nd. And of course Eddy Cue will be court side to heckle Lebron at every opportunity.